Clean dry compressed air for use in laboratory and analytical applications. To ensure that your Onsite Laboratory Gas Generation System operates efficiently and has an adequate, clean and dry supply of compressed air. 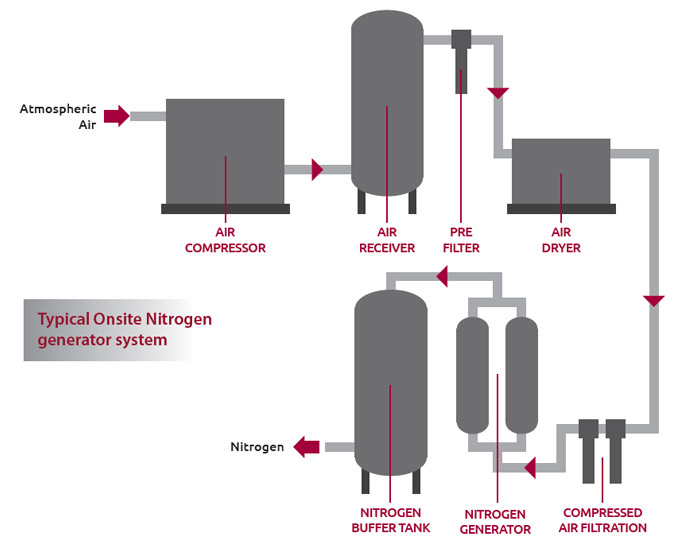 Compressors and System Design: IATT Supply, Install and Service a wide range of Compressed Air Supply, Filtration, Air and Gas Treatment, Refrigeration Dryers, Desiccant Dryers and Onsite Gas Generation Technology to provide the best compressed air and gas quality for laboratory applications. Compressed Air Filtration: A comprehensive range of compressed air filters that range from 0.5- 15000 scfm and grades 0.01-25 micron with oil vapour removal down to 0.003 mg/m3. The range includes high efficiency filter housings with pipe sizes ¼” - 3” BSP and flanged vessels from DN80 – DN300. They cover from low to high pressures up to 350 barg (5000 psig). Breathing Air: A full range of breathing air packs and systems from a 2 man station to full medical air treatment packages. All equipment is designed and manufactured in line with the latest BS, HTM and European Pharmacopeia standards. All systems can be installed and validated in line with current legislation and have remote and additional alarms for added peace of mind. Replacement Filter Elements: These include: Compressed Air Filters, Process Filter, Medical/Sterile Air Filters, Vacuum Filters, Autoclave/Vent Filters, Panel Filters, Activated Carbon Filters, Hepa Filters, Bag Filters, Foam Filters / Filter Rolls, Intake Filters, Gas Filters. System Validation: IATT: offer filter and system validation packages tailored to meet your specific needs covering compatibility, efficiency, integrity, microbiological removal, sterilisation regimes, particulate removal, oil carryover, leaks, pressure differential, flow rate and throughput.